Biolocity is an innovation in environmentally responsible sheetfed ink technology that delivers superb lithographic performance and print quality with extremely low levels of volatile organic compounds (VOCs). Biolocity sets a new industry benchmark for green formulation technology using high percentages of bio-derived, renewable materials and is environmentally responsible technology for printers looking to operate a greener pressroom. Biolocity provides fast setting and drying performance allowing reduced times to bindery while the press-stable formulation minimizes make-ready time and color shift during the run. 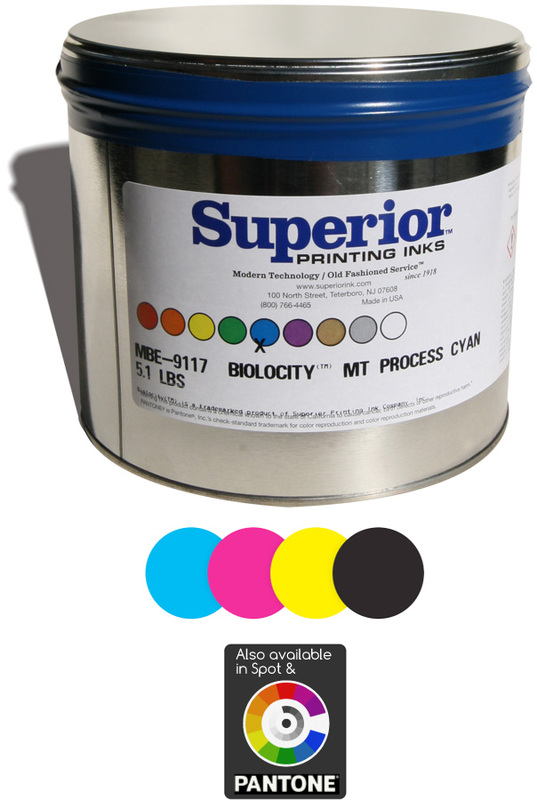 Biolocity delivers rub resistance and durability on a broad range of substrates and is suitable for UV coating (off-line), aqueous and lamination, while conforming to the ISO 2846-1 color specification, allowing the printer to run to ISO 12647-2 and G7 in the pressroom. Biolocity’s extremely low VOC content is formulated with 23% or more vegetable oils, does not contain petroleum-derived ink solvents and contains a minimum of 60% bio-derived, renewable and sustainable materials.